A Missouri-born anthropologist, Edward Hall, first created the concept of proxemics (personal spaces) to describe how people define, guard, and relate to the physical space around themselves. Hall described the spaces, in which we interact with others, as a series of “reaction bubbles” of varying distances. In the United States, 25 feet to 12 feet out is public space, 12 feet to 4 feet is social space, 4 feet to 1.5 feet is our personal space, and less than 1.5 feet is intimate space. As a friend, stranger, or family member approaches us, we’ll allow them to cross into the space that’s appropriate for the relationship. However, as they attempt to cross a boundary into a space that isn’t appropriate, we’ll usually move away. If you’ve ever watched someone from another culture chase someone around the room at a social gathering, you’ve seen reaction bubbles in action. In some cultures, the bubble of personal space is just much closer. 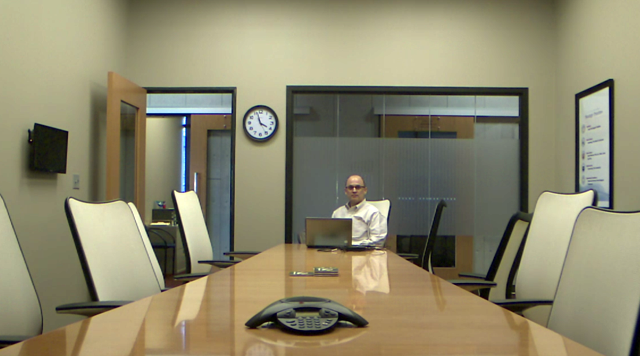 When users are put in front of a videoconferencing camera or webcam, their natural reaction is to zoom the camera lens out, effectively backing away from the remote participants until they’re in a more comfortable, public space. This is a natural reaction. The image of people see of themselves on the screen seems too close. They aren’t used to seeing themselves on camera. Also, it probably doesn’t help that the image they see of themselves is a real image, and not the virtual image they’re used to seeing in the mirror. So, it just doesn’t look right. Too many times though, people will zoom the camera out so far that you can’t really see them well, recognize their facial expressions, or pick up on their body language (the main advantages of video communications). As several researchers have pointed out, sometimes more is communicated in facial expressions and body language than in words. If we want to engage people in a more productive conversation, it’s important to get users to learn how to frame themselves on camera. Compare the image above with the one below. By framing the participant correctly, we move out of a public space into a social space, where we can see facial expressions clearly and easily read body language. In a social space, we make friendships, build trust, and work more productively with colleagues. If we’re in a social space with our remote participants, we can also engage various social motivators to get people to use our videoconferencing systems. Let’s face it – most employees are not motivated to use video, because it allows for more effective communications or because it can lead to productivity gains for our organizations. However, they will use it for social reasons. If they can make friendships through video and share occasional jokes/stories, then the motivations for using a video system become more personal. Educating your users on how to zoom in and frame their image correctly has many benefits. It can move their conference experience from a public space to a social space, increase desire to use your systems, and improve your overall return on investment. Successful technology adoption strategies don’t involve one big secret tip or technique for success, but rather are an accumulation of many small efforts over time. Every little thing that you can do to make video communications more effective and more enjoyable helps, including teaching users how to effectively frame themselves. 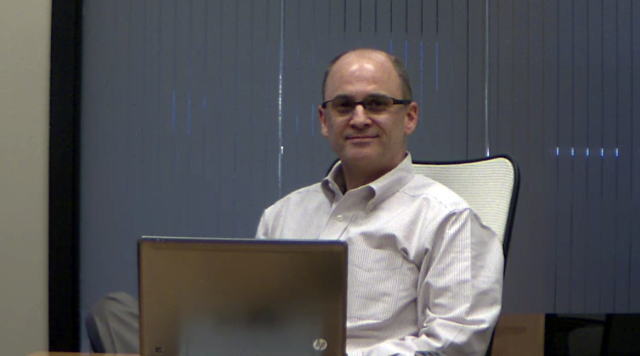 What are your tips for getting your videoconferencing users to interact more socially? How can we make sure that our users are getting the full benefits of the videoconferencing systems we have invested in? Share your comments and ideas below.